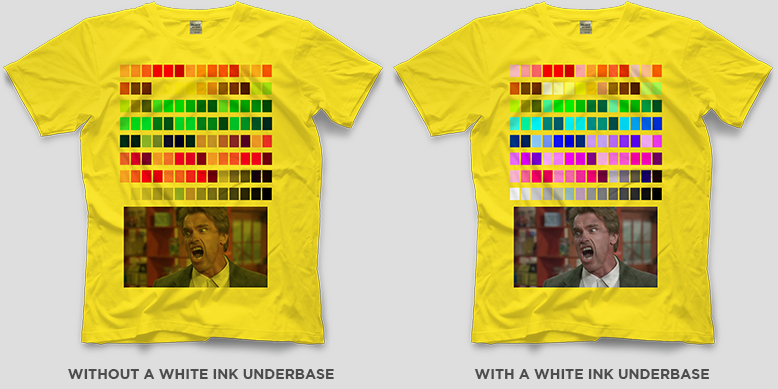 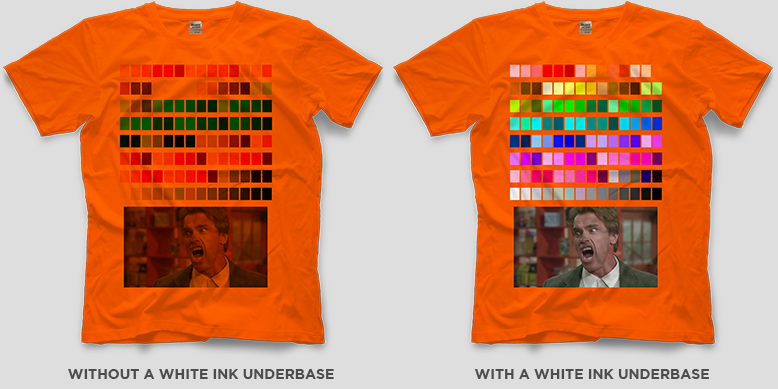 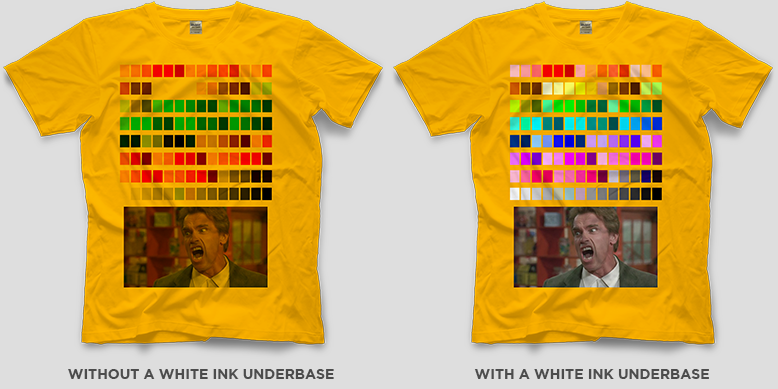 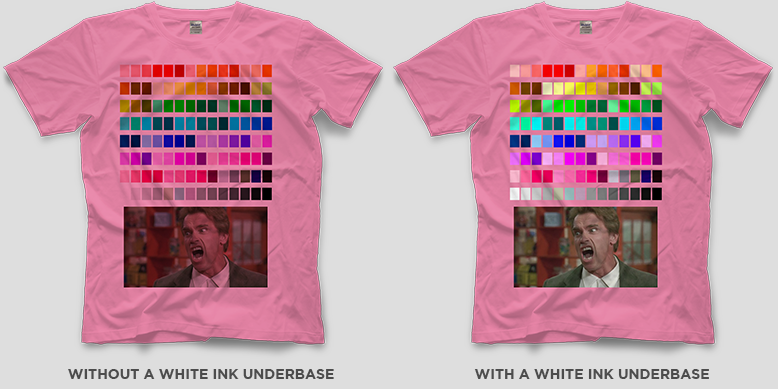 Before choosing your shirt color, you must first understand what a white ink under base is. A white ink under base is when we print your design in all white on your t-shirt first, and then we go back over the white areas with the colors you’ve chosen. 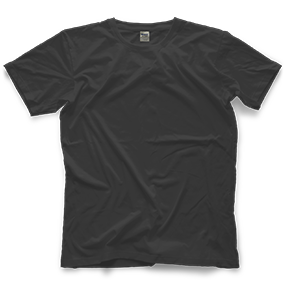 This allows the design to pop off of any color t-shirt regardless of how dark or light it may be. 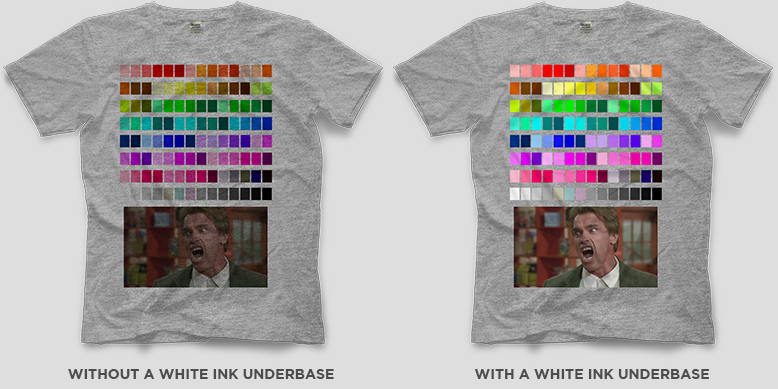 Without printing a white ink under base on your colored t-shirt, your design runs the risk of blending in to the color of the t-shirt itself, thus preventing it from being displayed as you intended. Use the chart below to pick the color shirt you want printed, and then decide if you need a white ink under base or not.